Finally! Our tax documents were approved by valve and we´ve started implementing the SteamSDK into Pantropy, moving the master server to Steam and test the multiplayer and Steam overlay. We might have been a bit too optimistic estimating 1-2 days for the whole Steam integration. We ended up spending the whole week on it. But it works now and it´s a huge relief. No separate launcher/patcher, no user database, no AWS files hosting any more. It saves us a lot of money and time and works much better! Julian was busy taking care of the Steam implementation. 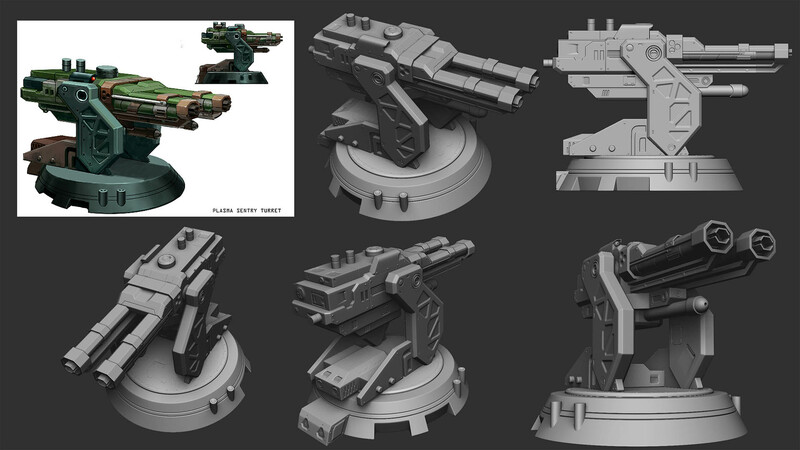 Besides that we´re still working on bringing back weapons, mechs and all the base assets. Changing everything to authoritative turns out to be a bigger task than expected. But it´s worth it. The new base loading system (we´ve implemented pooling) works like a charm. Bases appear almost instantly without affecting the performance. I´ll make a video on that one soon. Julian has also implemented the research system. You´ll be able to find „researchable“ items on the map that result in specific recipe for a base asset, weapon, armor part or implant. The chance of getting good results depends on your research level, which rises with each research attempt. We´ll soon meet with the guys from EAC and Battleye to discuss further options. We take anticheat serious and want to have it right from the start. Speaking of meeting – we got our devcom and gamescom tickets. 4 weeks to go! Give us a shout if you want to meet. Tyson is taking some time off for traveling but he has finished some nice new concepts before leaving. Solar cells will be a nice alternative to the generators. 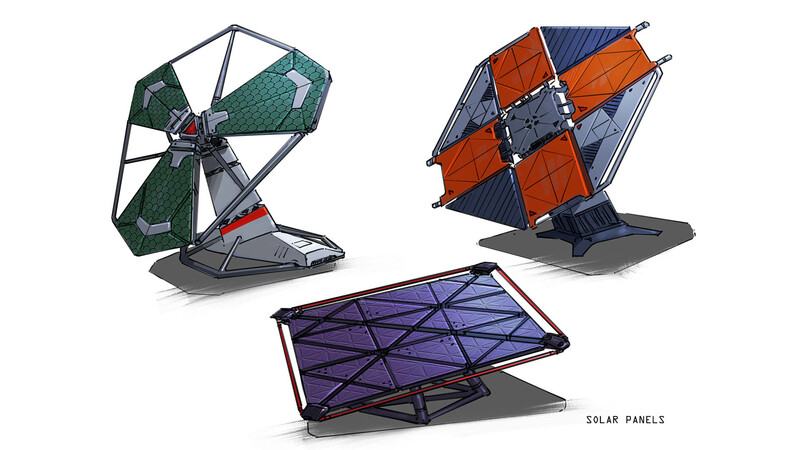 They won´t consume any resources but will also provide less energy than the thermal generators or fusion reactors. 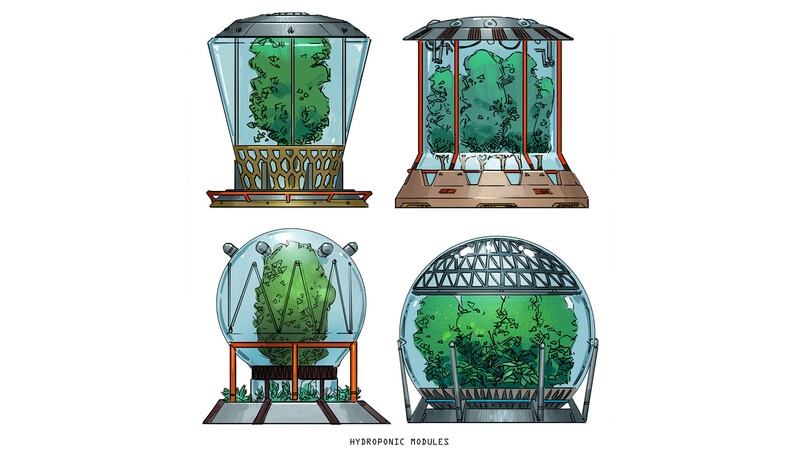 The hydroponic modules will provide the player with plants that can be used to restore health or craft antidotes. Osman has finished the round base parts for Pantropy. These were requested by the community. Can´t wait to have these ingame! We still have to find a nice solution for doors. Anjar is busy modeling our new turrets. 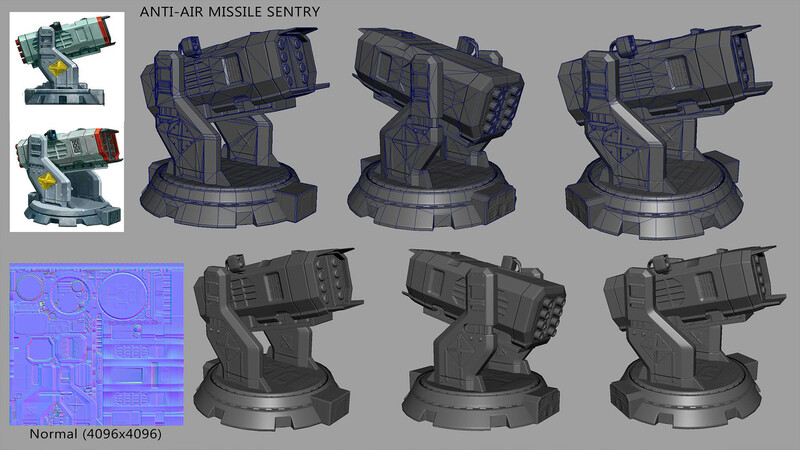 He has finished the AA sentry high-poly and has already baked it to the lowpoly. 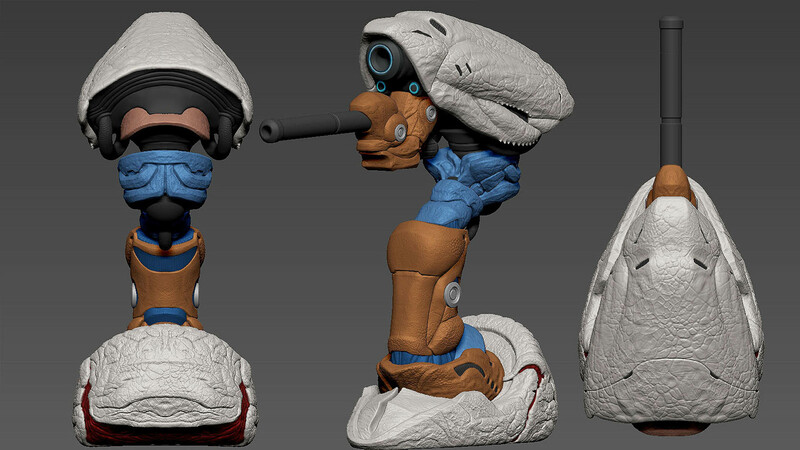 He has also started working on the highpoly model of the plasma turret. Turrets all the way! Jim is busy sculpting the enemy faction turret model. The enemy faction tower is done – at least the exterior. And it´s huge! We´ve placed it on the map. Players will be able to fight their way to the tower, invade it and get some epic loot...once the interior is done :) aaaand yes I have 100+ fps in the game. I hope we´ll be able to keep that up! We got a big bunch of sounds from our sound production company. We will try to implement some of these ASAP. I spend some time cleaning up the project, optimizing some of our game assets and continued on working on the map. The power plant is also back! 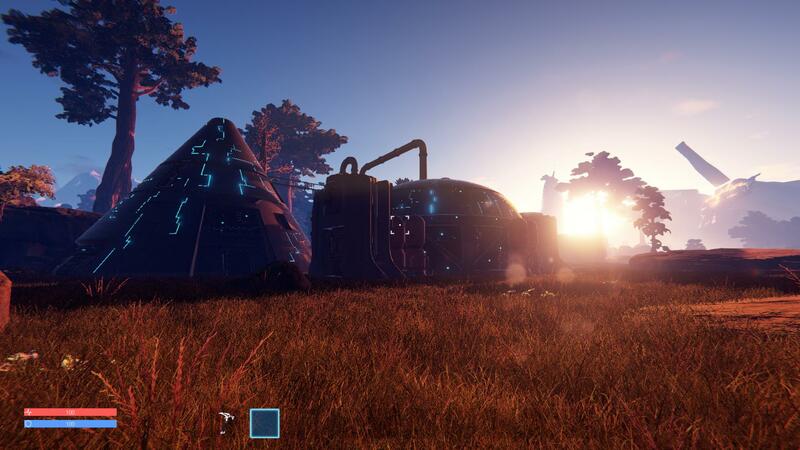 We´re focusing on bringing mechs back, weapons and including all the missing base building assets into the new system. or subscribe the newsletter to get a notification once we launch the closed alpha.